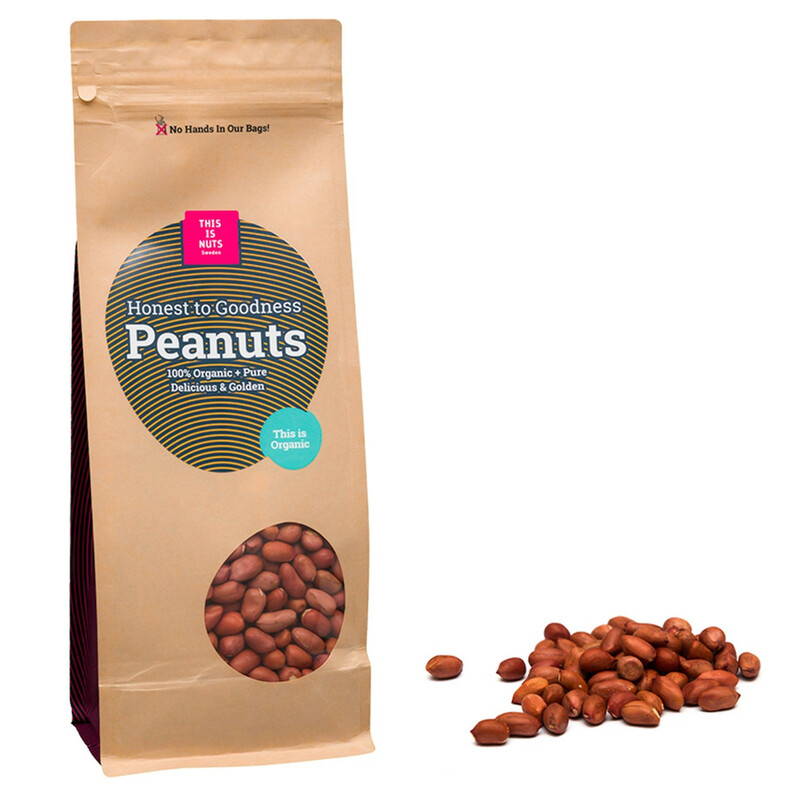 Organic, golden and creamy peanuts. 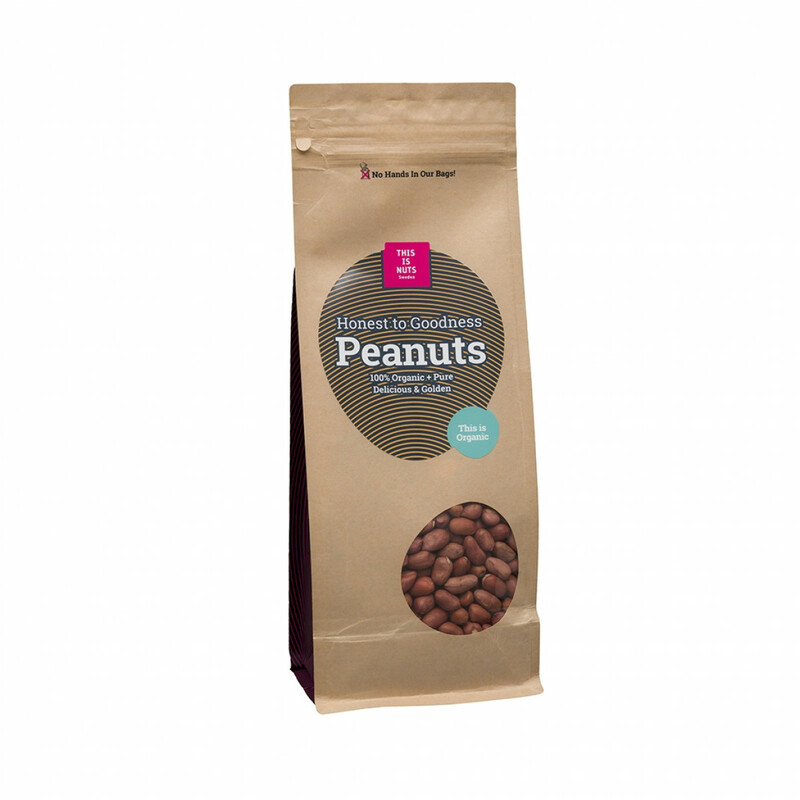 Our Honest to Goodness Peanuts are 100% organic and delicious. 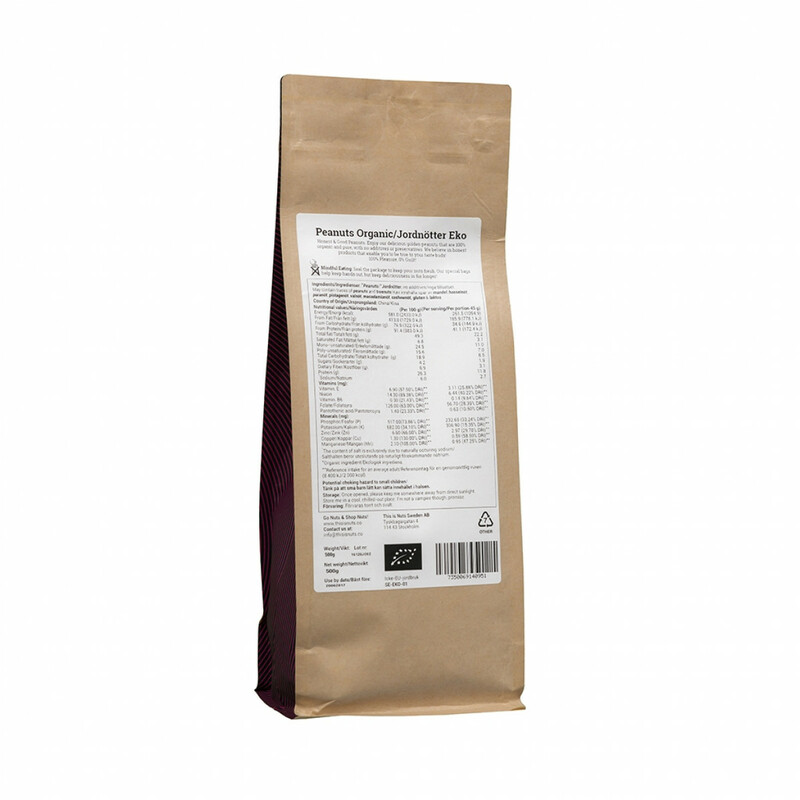 A purely natural product with no additives or preservatives. We believe in good and honest products that enable you to be true to your taste buds! 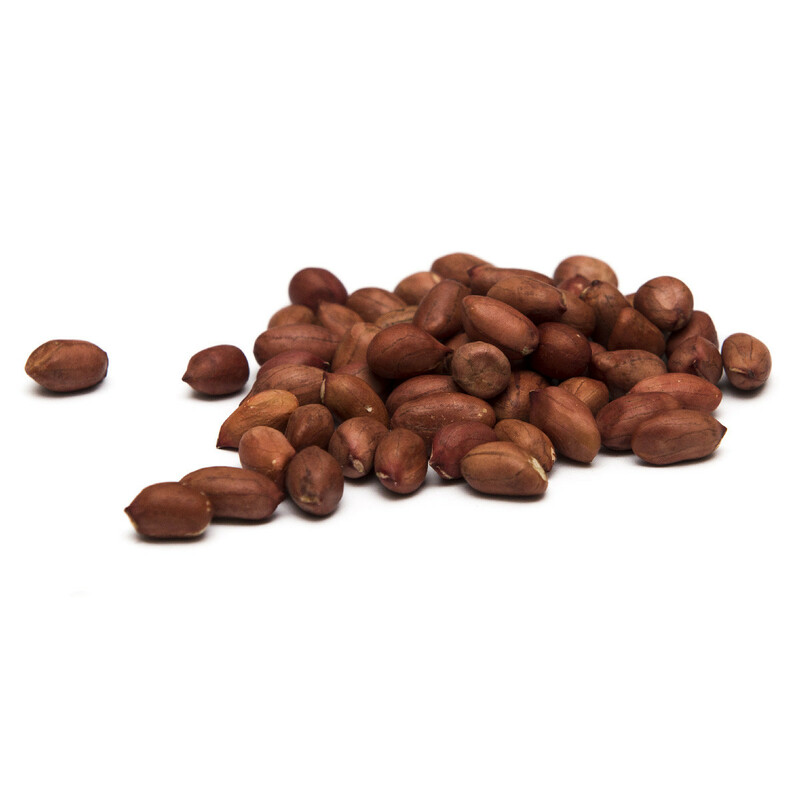 Our nuts are of the highest quality, always from the first selection, and hand-packed in Sweden.